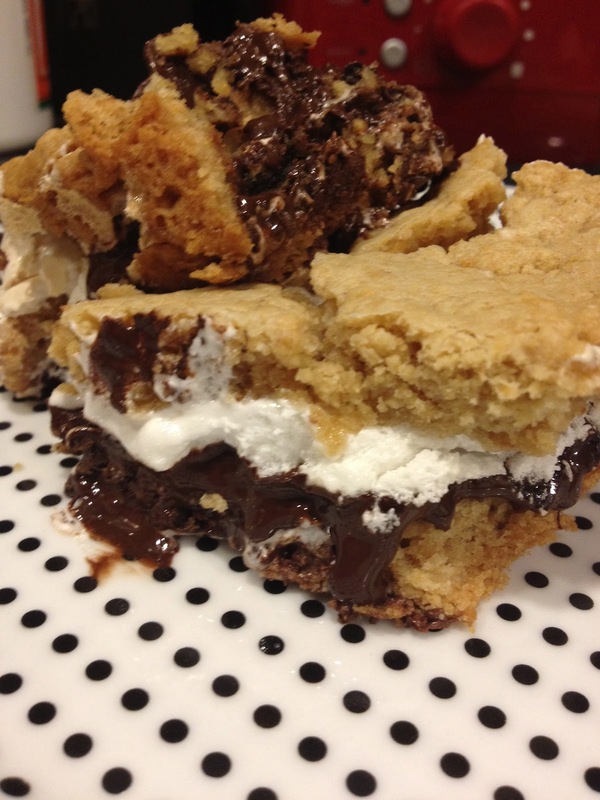 Mrs. S'mores and Mr. Cookie got together and made this beautiful creation. 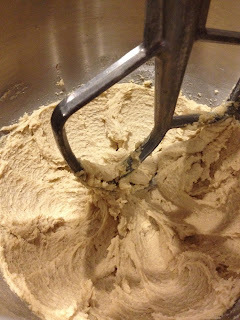 So, like any rational person would do, I went straight home to make this amazing goodness - forgo dinner, laundry, cleaning or any other necessary task... this cookie business is going down, tonight. 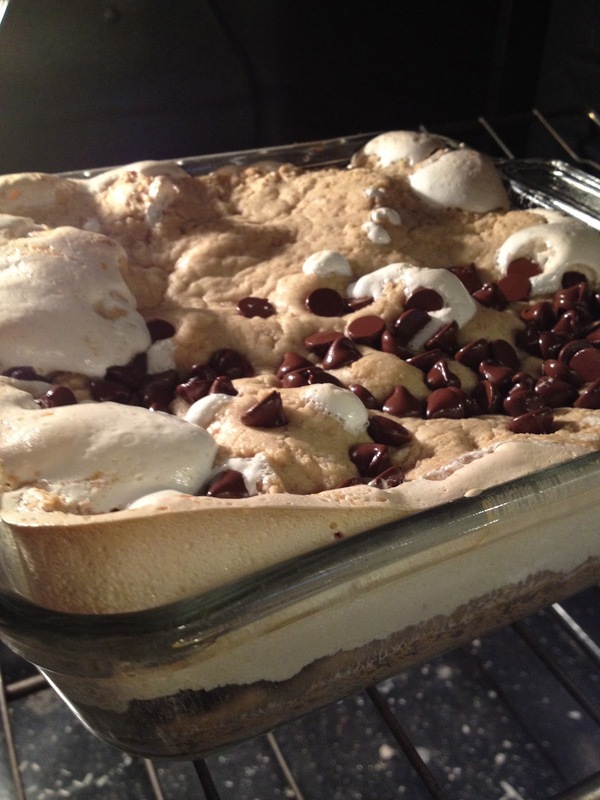 Luckily I had almost all the ingredients already in stock... minus the chocolate bars and marshmallow fluff. 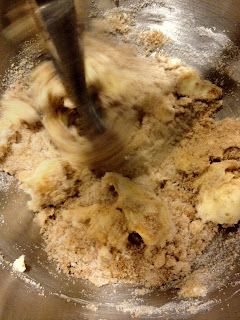 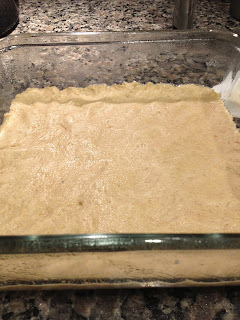 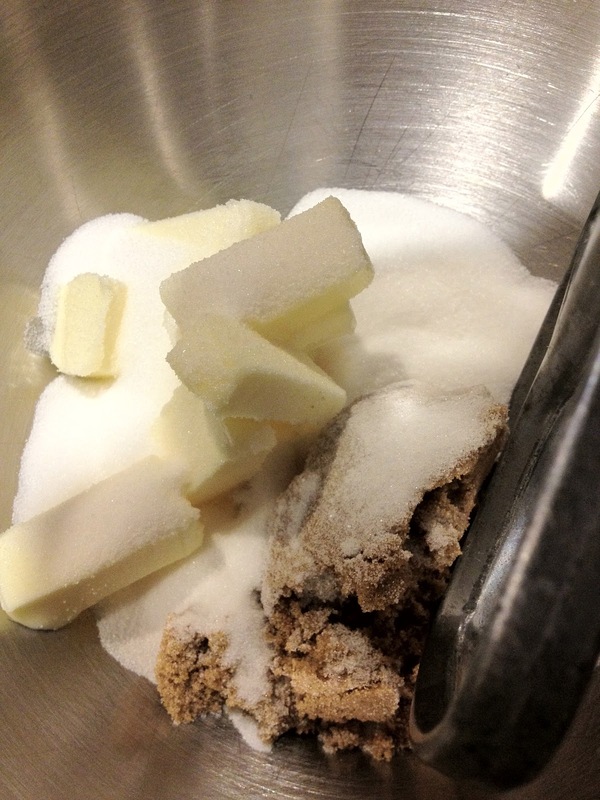 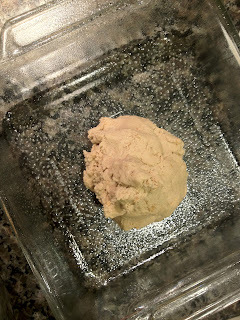 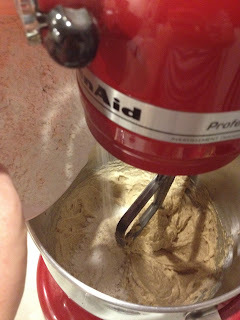 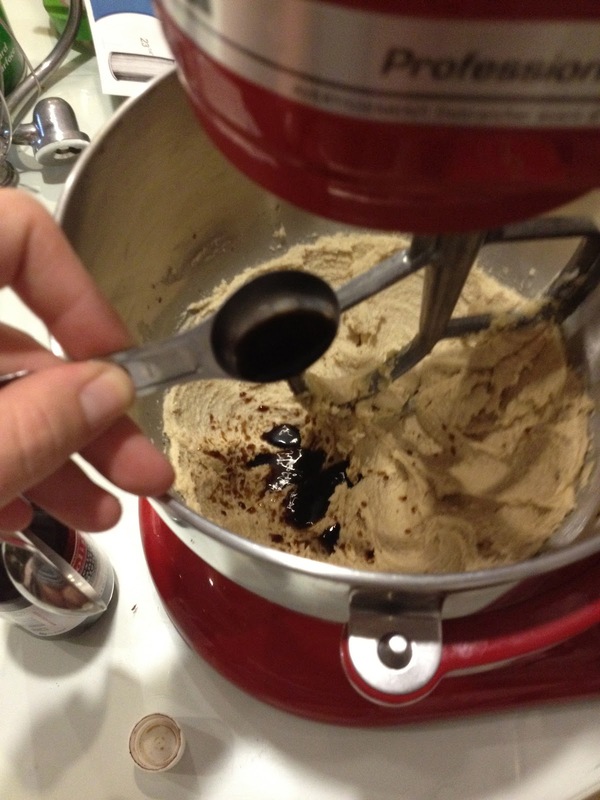 In a separate bowl, mix flour, graham cracker crumbs, salt, and baking powder... then add to the butter mixture. Mix on low until the mixture begins to combine (otherwise, you & all of your kitchen are going to be looking a little powder-y...), then bump speed up to medium until it forms a cookie-like dough. Divide cookie dough into two equal parts. 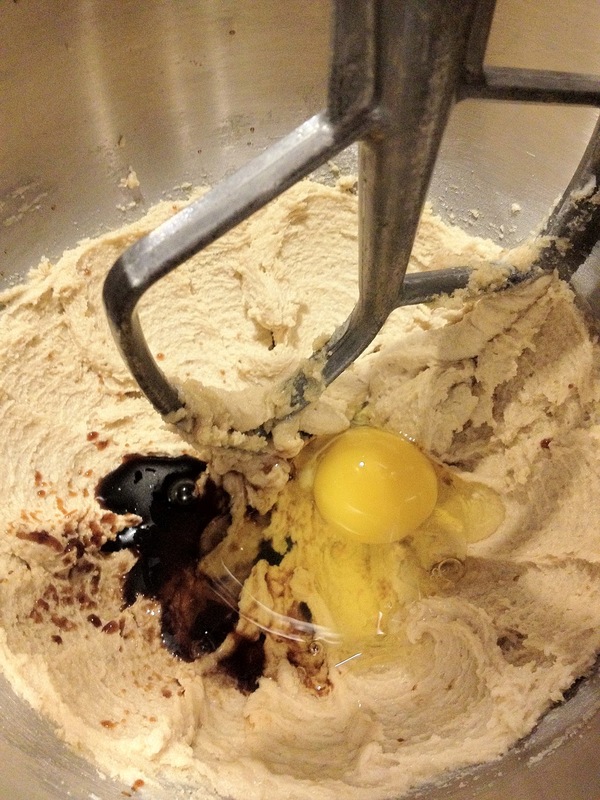 Press one half into the bottom of your greased pan to have an even cookie base. 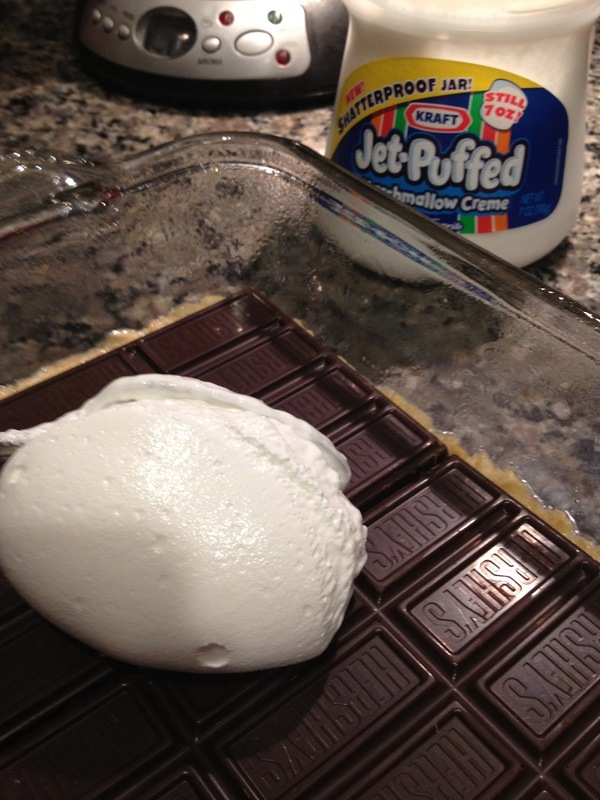 Then add your marshmallow fluff, and place chocolate bars on top... even though my pictures will contradict what I'm typing. My fluff grew like marshmallows on 'roids...no joke. But, whatever works for me might not work for you... so find what way works perfectly for you and run with it. Lovin' from the Oven has the chocolate down first, then layer on the marshmallows... but my creation didn't like me enough to let me to do that.... but everyone's baking experience is different, right? 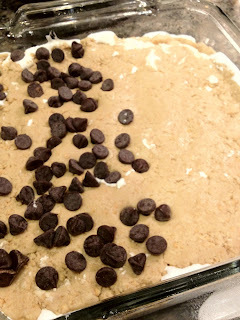 Put the 2nd half of the cookie dough on top... and I added some chocolate chips on one half to appease the chocolate monster in me... sometimes I just can't help myself. 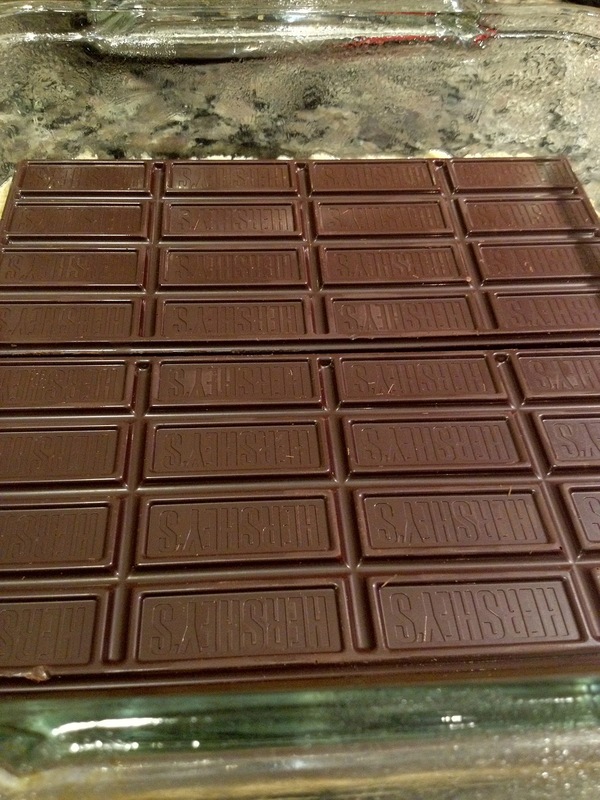 Bake it for 30-35 minutes, or until golden brown. 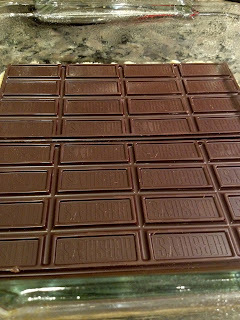 * Just a little forewarning: I used all 7oz. of my marshmallow fluff since the recipe called for 1.5 cups... and I put it on top of the chocolate bars (as you'll see in photos below) as the recipe directs (and the whole time, my pastry chef instinct was yelling "NO!" 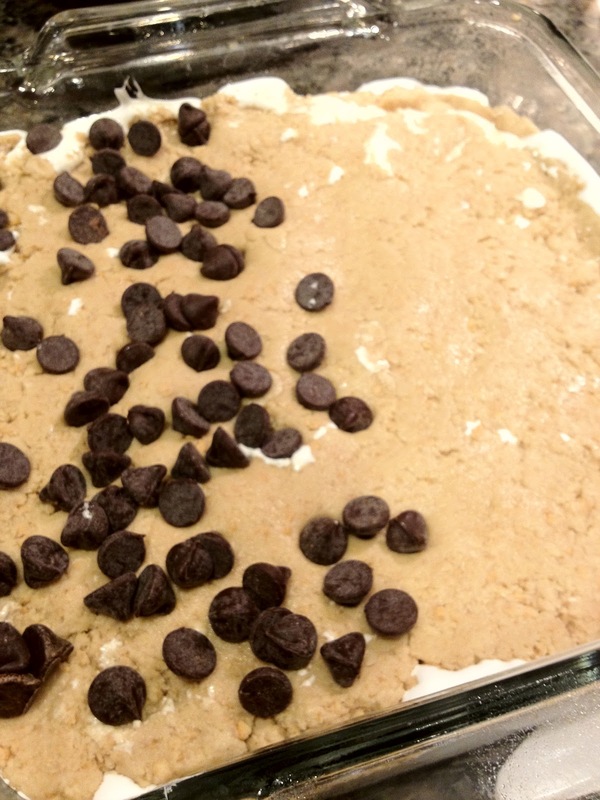 at me... anywho, the m. fluff puffed like a mad man... so my advice, do half of the marshmallow fluff and put it on the bottom cookie dough and place chocolate bars on top...it'll make spreading the cookie dough on top easier. But overall, do whatever works best for you, each person accomplishes a recipe differently.